Now there’s a creative way for you to show your support for California Food Banks while driving. 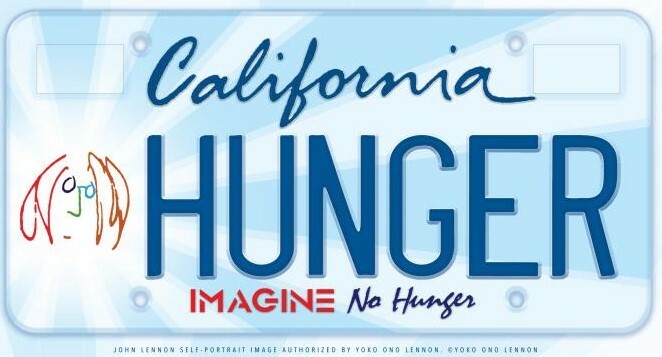 The DMV is taking pre-orders for a new California license plate, “Imagine No Hunger”. Proceeds will benefit food banks and hunger relief programs throughout California. The plate features the self-portrait of John Lennon along with the words “Imagine No Hunger”, which come from his iconic song, “Imagine”. In order for the plate to get issued, 7,500 pre-paid applications must be received. Click here to reserve your plate.